Do you have a regular quiet time? And if so, does it include writing out scriptures? One of the passages I came upon recently is Deuteronomy 17:18-20. In this passage, God instructed the people to have their future kings write out a copy of the law- by hand- for themselves. Reading this command made such an impact on me, I began incorporating scripture writing into my own quiet time. The habit of writing scripture forces me to slow down, absorb the scripture, and really tune in to what God is saying. It’s a valuable way to meditate on God’s word and allow it to permeate your mind and heart…and only takes a few minutes each day. Deuteronomy 17:18-20 implies writing scripture is key to moving us to action. 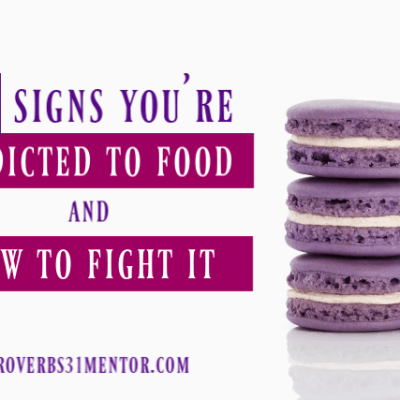 It is one way we move away from being hearers only of the word to becoming doers of it. I don’t know about you, but I want to be an action taker! 1. Read It. First, I read each day’s passage. If I have time, I try to read the passage in several different versions of the Bible to gain a robust understanding of what the scripture is saying. 2. Write It. Next, I write out the day’s scripture. This simple discipline allows God’s word to permeate my heart and mind. 3. Ponder It. Meditating on Scripture is vital to every believer as this is how we are transformed (Romans 12:1-2). I spend a few minutes each day simply meditating on the passage I’ve written. 4. Pray It. Here is where I articulate God’s word in the form of prayer and offer it back to Him. I’ve done an entire workshop on praying the promises of God that you can find here. There is no right or wrong here, just pray the scripture back to God in faith, affirming His word as true and giving thanks for His promise. This simple ritual quickens my spirit and fills my mind with spiritual truth. Plus, it’s so easy to do. 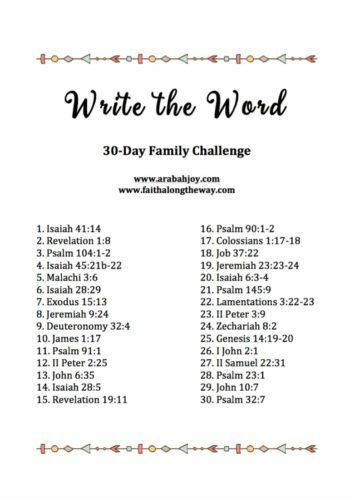 Today I’d like to invite you and your family to participate in our Write the Word 30-Day Family Challenge! We’ve made this super easy! 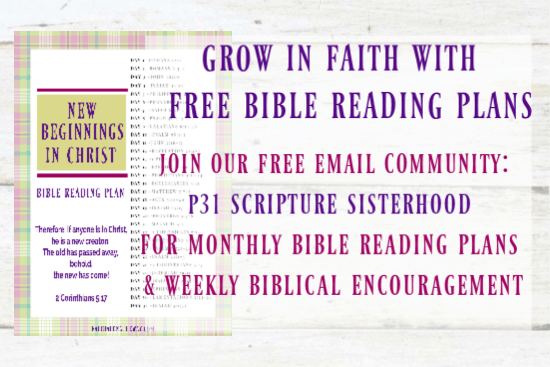 Simply subscribe to Faith Along the Way and receive this as one of the many printables in The Strong Family Project Printable Pack. 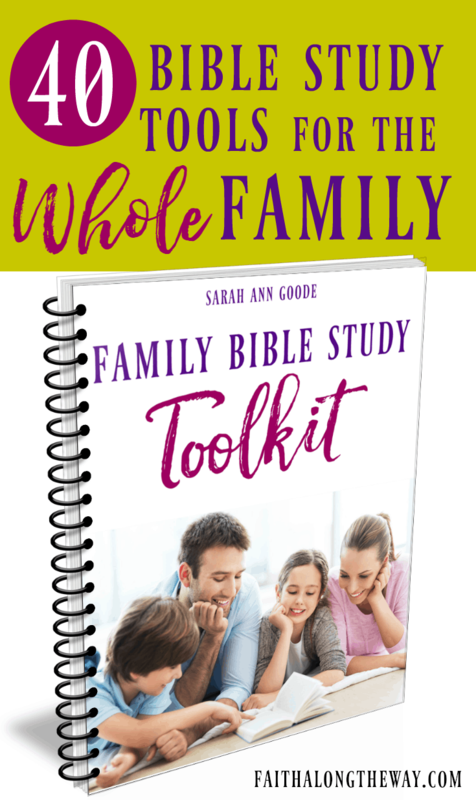 You’ll love these practical tools to help you strengthen your family bond, make memories and to build a firm foundation of faith. Then over the next 30 days, read and write one scripture a day. 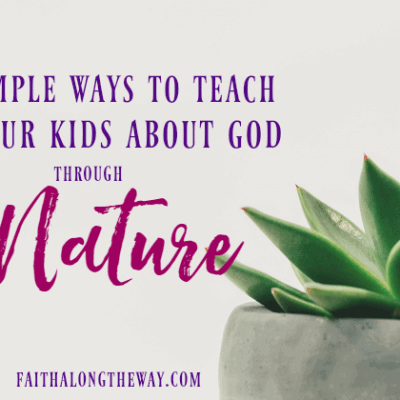 You can also discuss it as a family and/or use it as a prayer prompt. 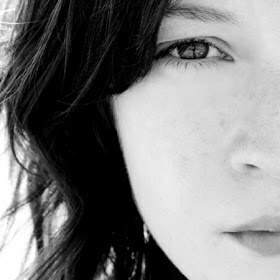 Stay simple or dive deep… it’s up to you! 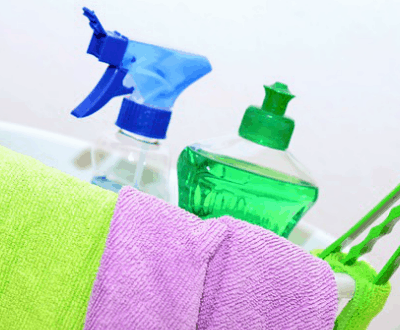 For this Write the Word Challenge, we’ll look at the names and attributes of God. 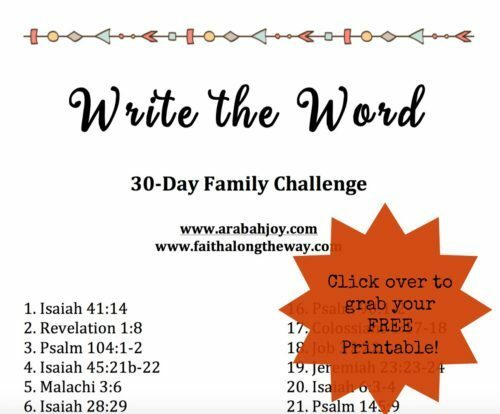 Begin today by downloading The Strong Family Project Printable Pack and printing your copy of this challenge. 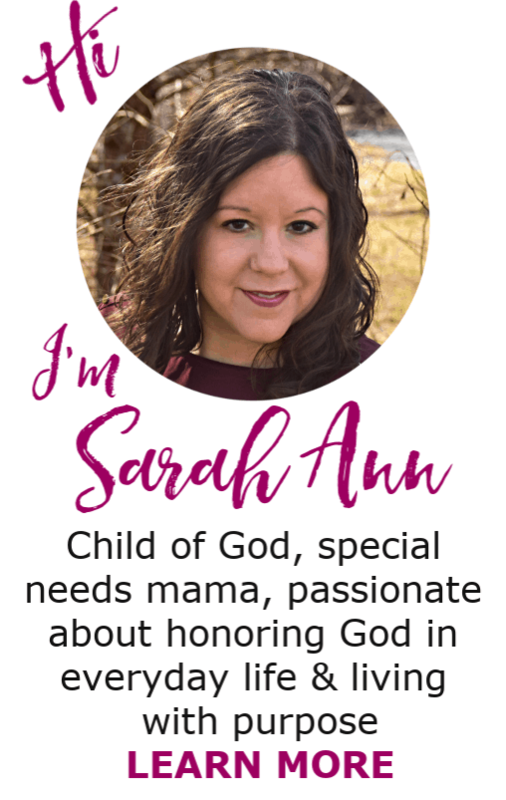 Oh, and be sure to visit me at Arabah Joy for more prayer and devotional resources for the entire family. Subscribe here for this printable and the rest of The Strong Family Project printable pack. Plus, you’ll have access to our best subscriber freebies and weekly happy mail to bless your inbox.